NOTE: Once a month (Usually on the 4th Sunday of the month but check sponsor's website for latest updates). The Savoy at Curtis Park occupies the second floor of a landmark Victorian building. 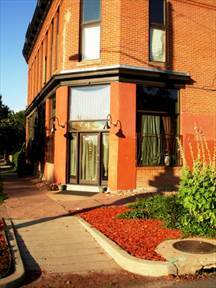 Built in 1887 and residing in the historic Curtis Park Neighborhood, the second floor was used as a private social club with a dance floor/social space, lobby, and lounge. Today, it remains as one of the few surviving spaces of its kind in the city of Denver. The Savoy was renovated in 2001 and again in 2012. The second floor was restored to its original configuration with the maple and cherry wood floors returned to their original luster. The room and the lounge retain their original pressed tin ceilings and both spaces are illuminated by the original nine foot windows that offer city and mountain views.